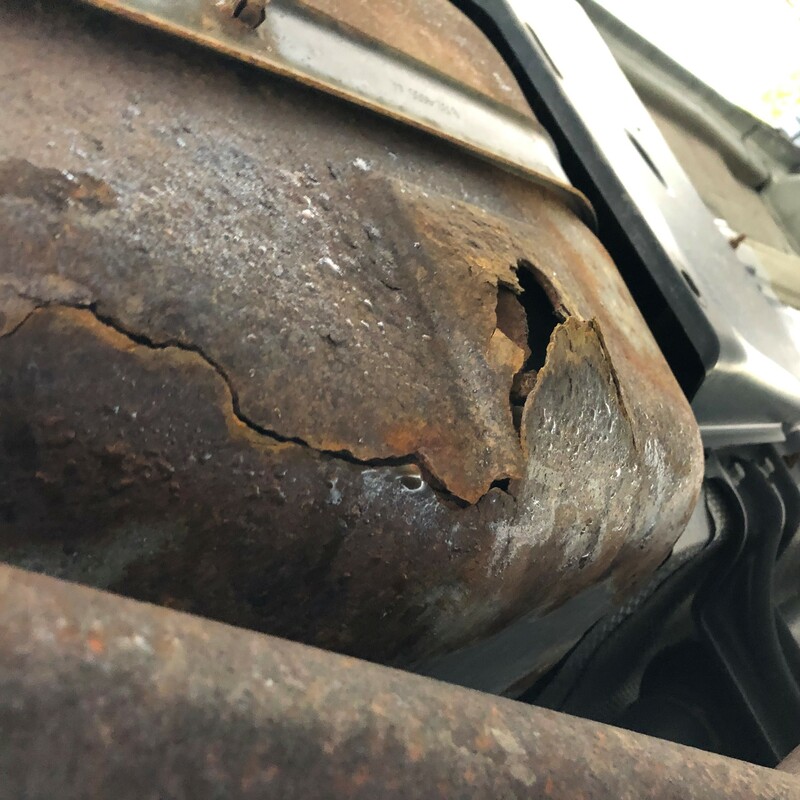 Thread: Rust in the underbody? Mine is mostly rusted. 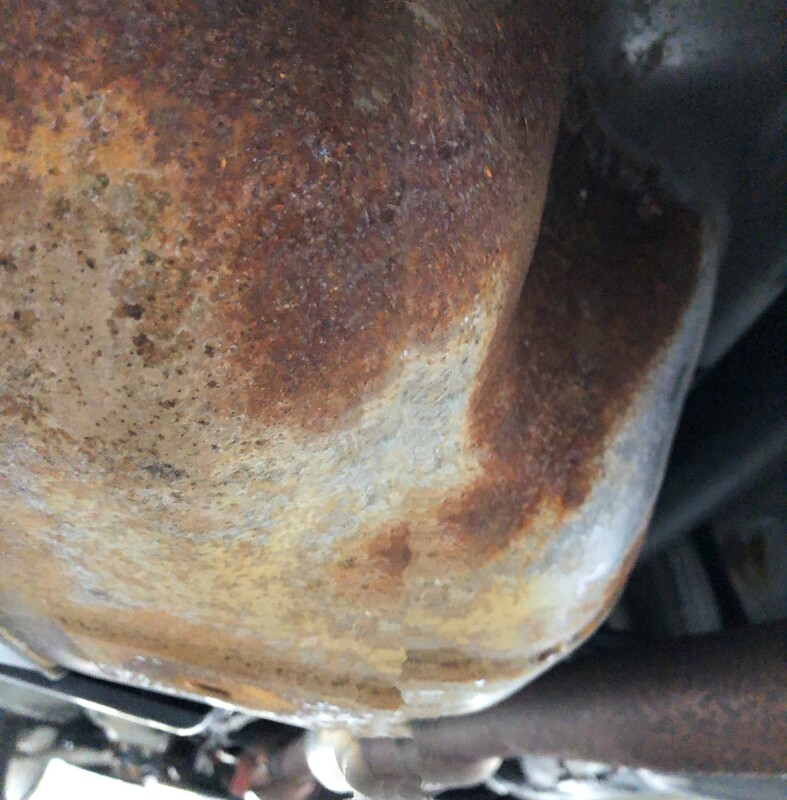 Rear muffler looks like from 1970's, my 02 Honda still has a spotless muffler. What a cheap product. Heard LR is building a factory in China... I guess they dont have to import parts then, they'll import the whole car. If given a second change I'll never buy this product. Very cheap quality for the price you pay. . Sorry to hear about your experience. Anyway you can start a new thread and post up your pictures, perhaps we can get some coverage and see if Land Rover will do anything about it? 20+ miles from the Ocean. 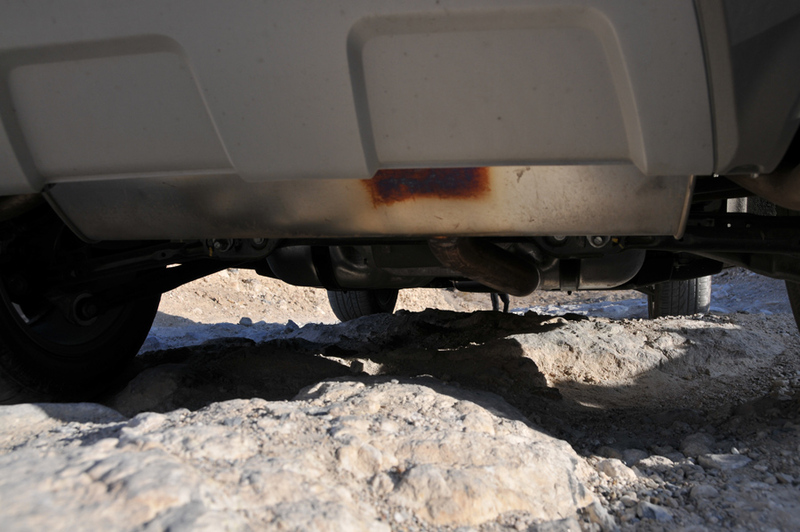 Regarding the muffler, mine looks like this. My 2015 undercarriage, passenger side fuel tank skid plate rotten relay bad, driver side going soon. Dealer refused to repair under warranty. We live in Boston.